Who doesn’t like a shot of tequila? No matter what kind of a party it is, you know how much tequila is in demand. From the too good to be true files, there’s mind boggling news for all the tequila lovers – a group of Mexican scientists have found a brand new way to transform your favorite liquor into expensive precious stones! Tequila may seem like just another drink to you, but it is not anymore. A team of Mexican scientists have found out a way to make diamonds from this liquor. When Victor Castano, Javier Morales and Luis Apatiga from National Autonomous University were experimenting transforming various organic solutions into diamonds, they discovered that tequila had the capacity to create precious stones, diamonds, to be precise. The scientists found out that 40 percent of this alcohol had enough proportion of ethanol to create films of diamond. In order to create the precious stones, the scientists evaporated the alcohol into vapor and then heated the vapor at more than 1400 degrees Fahrenheit before allowing it to deposit on stainless steel trays. Result? 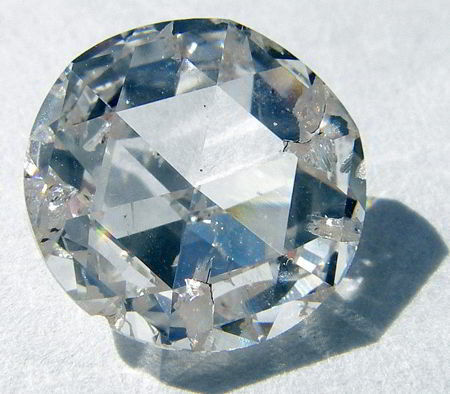 Impurity-free diamond films between 100 to 400 nm in diameter!